The new Intercom XL has been developed especially for Smart Flats or other multi-unit dwellings. It can store up to 100 entries, which can be for ringing flats, or can also be used as a universal input. This means that options to switch on external lights or similar can also be stored and selected using arrow keys. Additionally, entry by electronic key fob is part of the package as well with the integrated iButton Reader. The Intercom XL was specifically designed for Smart Homes and can be fully integrated into yours in mere minutes. It boasts additional features such as playing the doorbell chime over your multiroom audio system or access control and lighting when you get home. Even when you’re away from home, you can find out who is at the door – all thanks to mobile face-to-face communication. 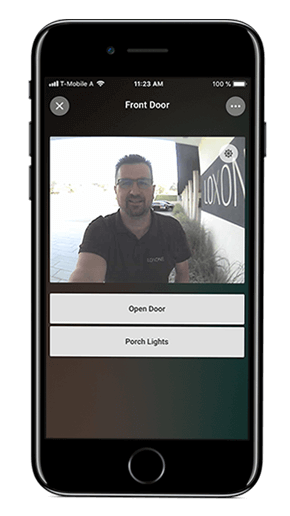 Even when you’re out and about, the free Loxone apps for smartphone and tablet enable you to see who has just rung your doorbell. You can talk to your guest and open a door for them. Just one click in the app will open the garage door so that the courier can deliver your parcel. The Intercom XL’s iButton reader makes use of iButton technology to provide you with the simplest and best value way of managing access to your Smart Home. Configuring your integrated iButton reader can be done very quickly. The iButton key fobs are cheap, so if one is lost it can simply be deleted from the system, meaning that it will no longer function as a key. New key fobs can simply be added to the system. The materials used mean that the Loxone Intercom XL not only looks great, it’s also prepared for all kinds of weather conditions! The screen and camera are protected by solid glass. 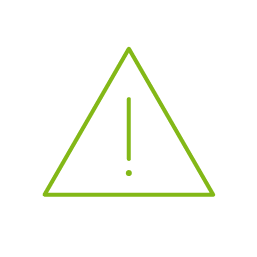 As well as protecting the internal working of the intercom, it also ensures that the Loxone Intercom XL will still be going strong in many years’ time. The high quality, robust 7.5mm thick aluminium with its anodised surface offers great protection for the intercom’s hardware. It also looks great, making the Loxone Intercom XL an attractive addition to your entrance area. With a viewing angle of 105° horizontally and 65° vertically, nothing and no-one will be out of range! Using your iPad/tablet or iPhone/smartphone, you will be able to have a two-way conversation with excellent sound quality – from a location that suits you. The Loxone Intercom is supplied with specially-designed ‘security’ screws and a screwdriver to fit them. This means that your smart phone and tablet-compatible intercom will be securely screwed into place, so thieves have no chance. All you need is one cable. The Loxone Intercom is powered by PoE (Power over Ethernet). The network cable also supplies electricity to the video intercom, so you won’t need any additional power cables. Once connected to the network, the Loxone Intercom XL will show up in a Loxone Config search and can be added to your configuration. It is easy to configure your intercom mere minutes as a Door Controller. Please note: The Intercom XL should be mounted in a place that is shielded from the elements. 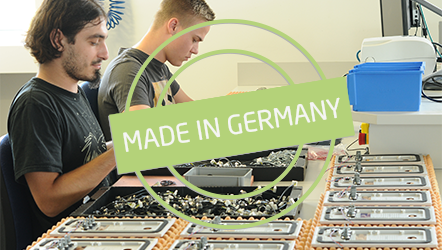 Together with Loxone, the Loxone Intercom XL is developed and produced at Baudisch Electronic in Germany, which is a Loxone Group Competence Center. Backlit LCD Display (60x22mm) with 4 lines of 20 characters each to display up to 100 entries. Use the flush-mounted box for installing the Loxone intercom.